I am yet to meet someone who doesn’t like chicken wings. 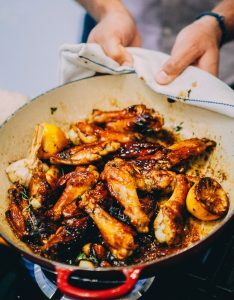 Traditionally this recipe was made using the whole chicken, however it so much more shareable when made with wings. Meanwhile, zest the lemon, halve it and squeeze out the juice, but don’t throw the rest of it away. Heat the oil in a frying pan over a high heat. 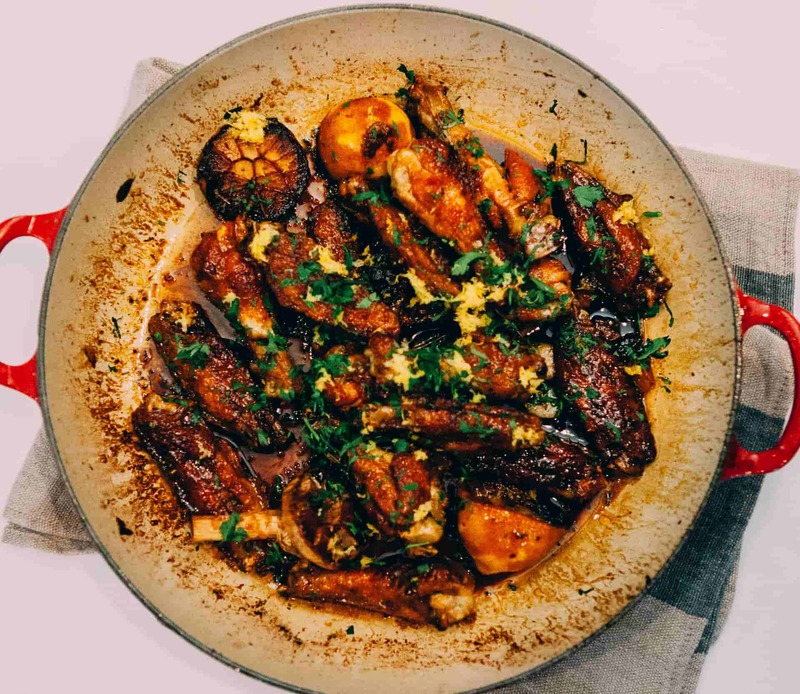 Add the thyme sprigs, chicken wings, squeezed lemon halves and the garlic and fry for a couple of minutes on each side. Sprinkle the pimentón over the chicken and after 10 seconds drizzle the lemon juice and honey into the pan. Season with salt and pepper. Continue to sauté the chicken, allowing the liquid to reduce while making sure the wings are fully coated in the glaze. Add the lemon zest right at the end as it turns bitter if added too early and loses its fragrance quite quickly. Sprinkle with the chopped parsley and sea salt before serving.